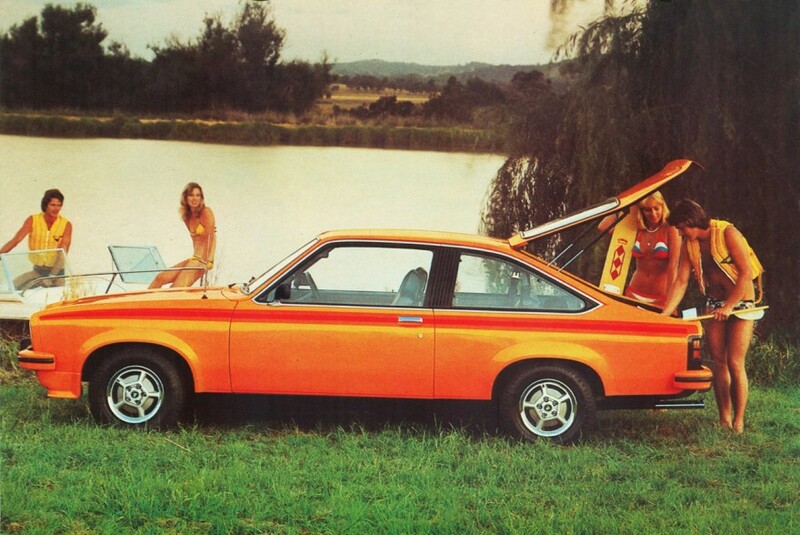 1976 Holden Torana LX SS Hatchback was first released in 1976 and was a facelift of the LH sedan. A 3300 Six was standard, but had the option of a 4.2 liter V8. The new hatchback came as an SL and an SS, and had the front spoiler from the SL/R 5000. 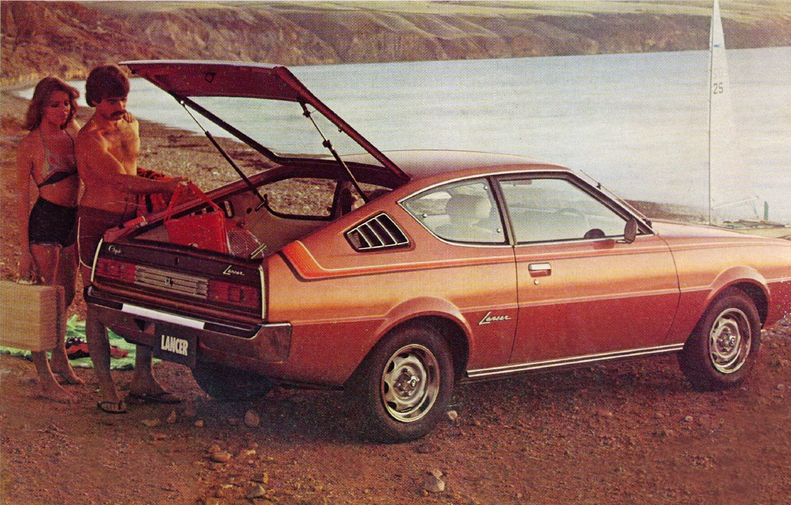 Everything about the Torana can be seen here. Published on August 7, 2011 10:21 am. Honda has been making automobiles since 1962 and designed the Civic in response to the pollution and fast rising costs of operating a car. 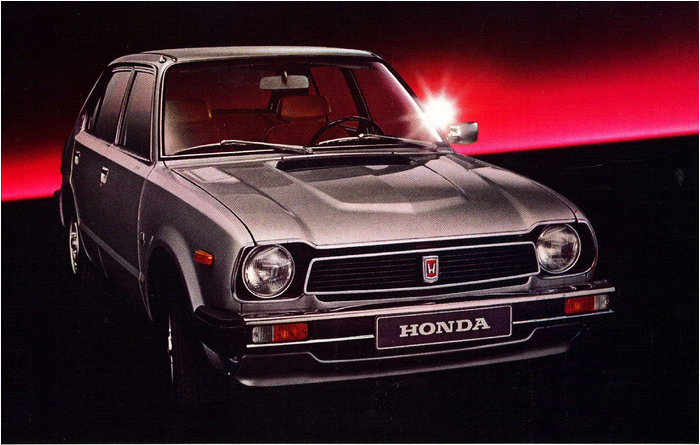 The 1978 Honda Civic’s CVCC engine cuts exhaust emission levels at the source – in the cylinder and more efficiently burns fuels to boost economy. 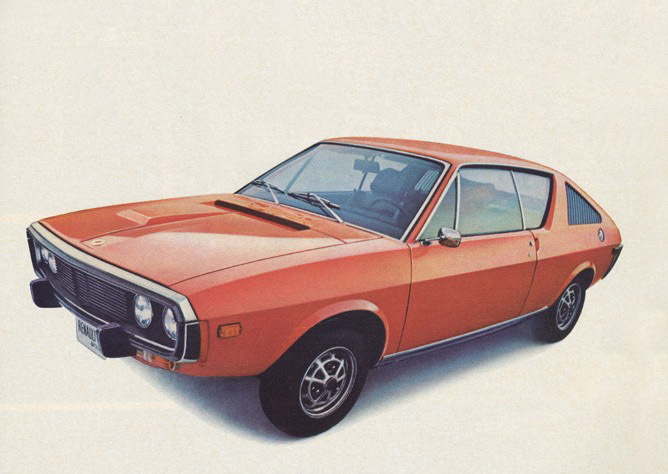 It was the first car to pass strict 1975 U.S. exhaust emission standards by a wide margin. Published on August 7, 2011 12:12 am. 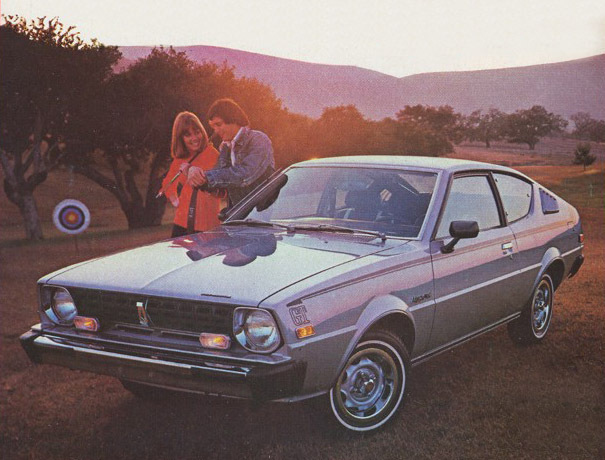 When the 1977 Chrysler LC Lancer was introduced was not only promoted as the car of the week, but it was suggested that it set new standards, even for Japan. Seems a little silly. Published on August 6, 2011 11:59 pm. Two classics from Mazda, with the 5-door Mazda GLC in white and the 3-door Mazda GLC hatchback in blue. Published on July 8, 2011 11:05 pm. 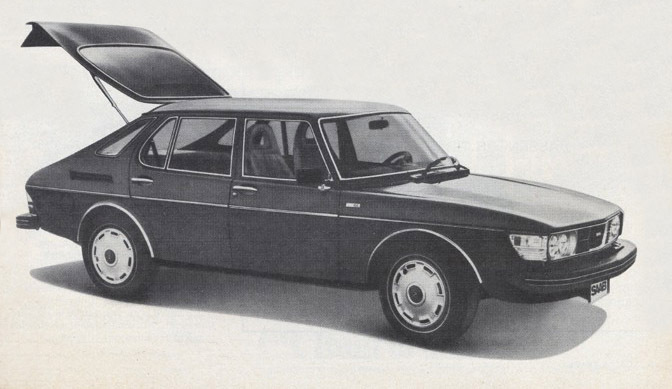 The 1978 Saab 99 EMS’ guts, engine, transmission, front wheel drive, disc brakes, etc enabled it to beat the BMW 320i in 10 out of 11 performance categories. Published on May 14, 2011 10:35 pm. The electronically fuel injected, front-wheel drive 1974 Renault 17 retailed for $4,175. It’s fronts seats where richly upholstered, superbly comfortable and fully reclining, and had rear bench like bucket seats. The rear tailgate made getting to your luggage easy. The newly developed rear bumper shield gave it the ability to absorb minor knocks without damage. The 17TS had a five speed gear box, electronic fuel injection and the 1565cc engine produced a top speed of 112 mph with the ability to stop via its disc brakes on all four wheels. Also included were heated rear window, radial-ply tires, anti-theft steering lock, electric screen-washers and intermittent wiper control, cigar lighter, alternator and on the 17TS, electrically operated windows. You could even get an optional electric sun roof. Published on May 7, 2011 10:42 pm. 1978 front-wheel drive Plymouth Horizon started at $3,706 and came with standard features like front bucket seats, AM radio, whitewall radial tires, rack and pinion steering and front disc brakes. But best of all, it got 27 mpg city and 41 mpg hwy. Published on May 6, 2011 11:01 pm. 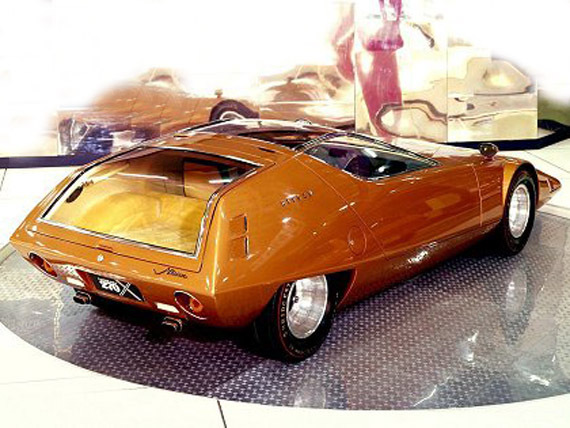 1977 Plymouth Arrow GT’s 1.6 liter engine got 26 mpg city and 39 mpg hwy. The MSRP was $4,017 and had features like a piston operated hatchback, fold-down rear seat, power front disc brakes, tinted glass and a locking fuel door. Exclusive to the GT were extras like styled road wheels, woodgrain instrument panel, and quarter windows that flipped open. The vehicle pictured here had the wheel trim rings and AM/FM radio options, for $171. An available and quieter 2 liter silent shaft engine cut vibration and noise. Chrysler-Plymouth dealers could enhance your Arrow even further with special suspension package and performance engine parts as intake manifold, headers and special pistons. Published on May 6, 2011 10:38 pm. 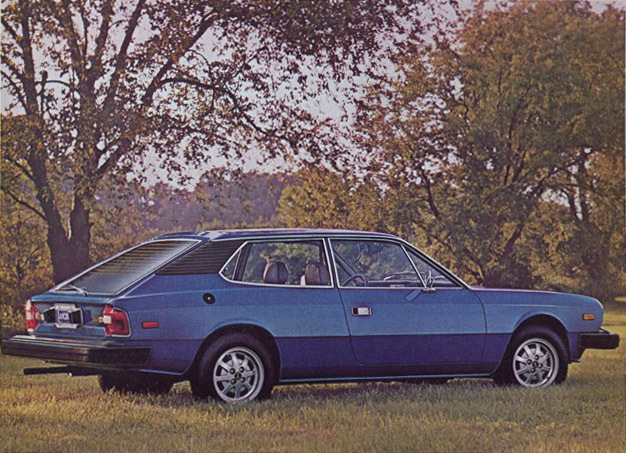 1977 Lancia HPE took you from standing to 60 mph in 10 seconds flat and carry on to a top speed of 112 mph. All courtesy of a lusty twin-cam engine that responds to a five-speed close ratio gearbox. With its rear seats down, it revealed its 42 cubic feet. Published on May 4, 2011 10:00 pm. 1975 Ford Pinto sold for $2769. 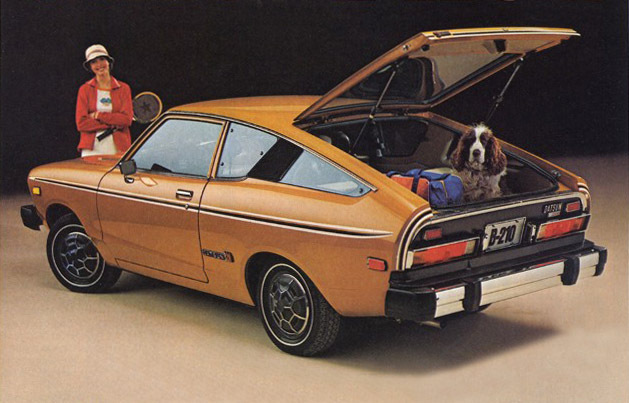 It got 34 mpg on the highway and came with all-vinyl bucket seats. The 3-door Runabout’s rear door flips up and the rear seat flips down to give you a five-foot-long carpeted load floor. Optional features included Exterior Decor Group, Deluxe Bumper GRoup and WSW tires. Published on May 3, 2011 9:13 pm. 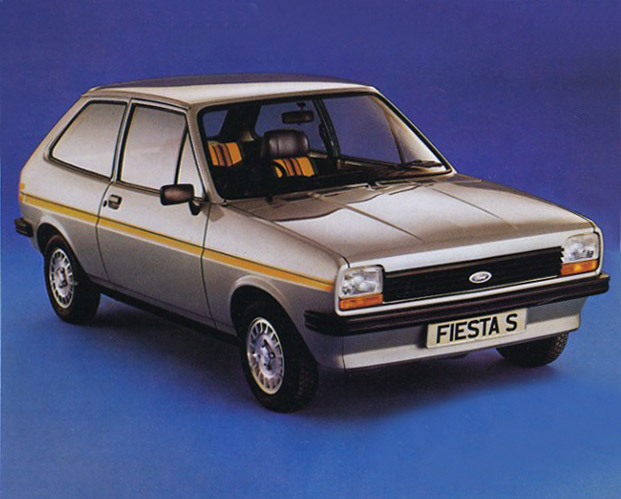 The 1978 Ford Fiesta-S Euro Spec. Complete with orange striped seats. Published on May 3, 2011 8:29 pm. 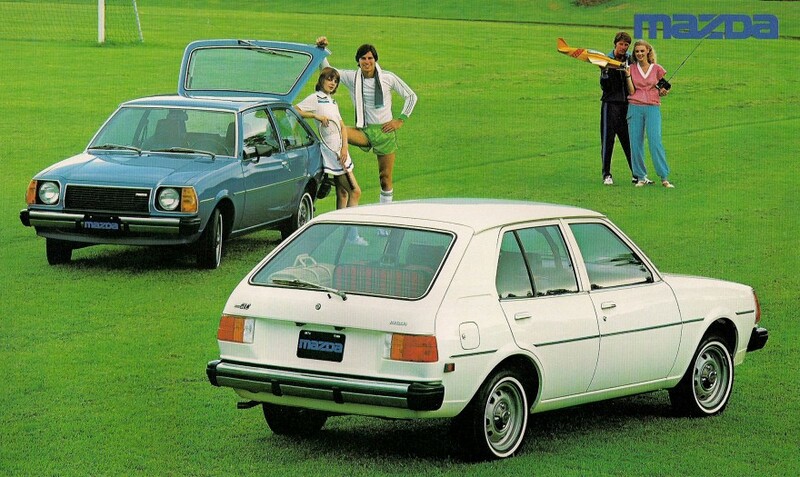 The 1977 Datsun B210 hatchback achieved 50 mpg. It’s value included features like a 5-speed, steel belted radials, sporty stripes, fully reclining bucket seats, carpeting, tinted glass, electric rear window defogger and power-assist front disc brakes. All included in the B-210 “Plus”. Published on May 2, 2011 10:09 pm. 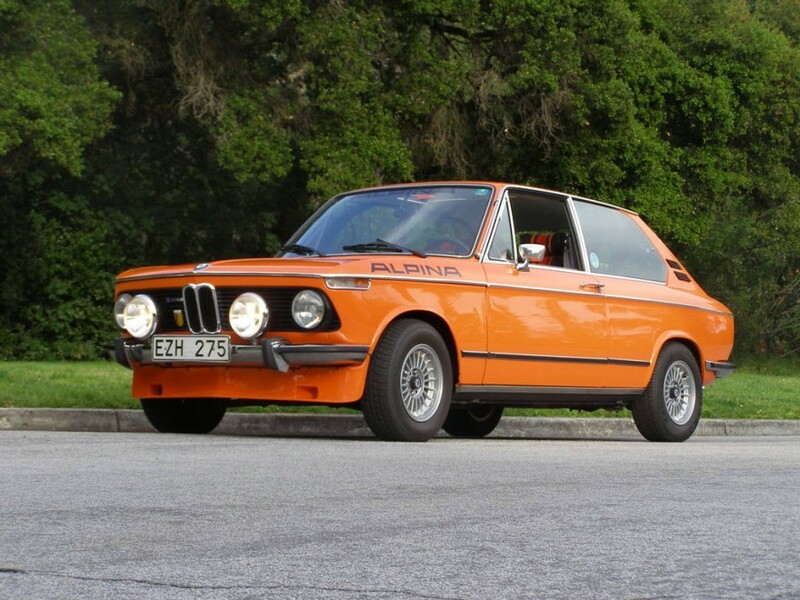 This 1974 BMW 2002 Touring Tii is a rare breed. It’s not often we see a BMW hatchback, especially in Alpina trim, with a sun roof and finished in “Inka”, a highly sought 1970s color. It even has the original, very light green tinted glass. How cool is that? Published on May 1, 2011 9:47 pm. During the first 6 months of 1977, LeCar had amassed a total of 57 firsts, second and third place finishes in 52 SCCA races. 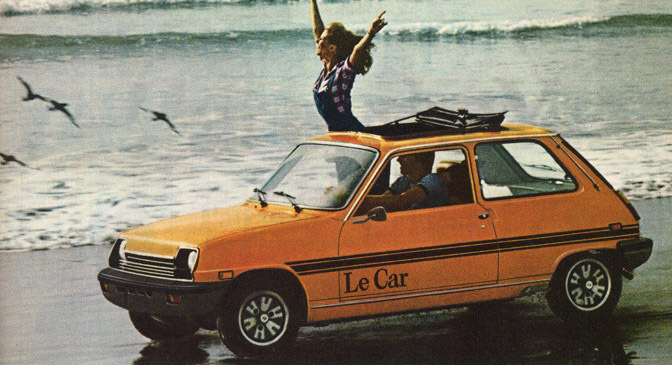 The 1978 Renault LeCar got 41 mpg. It was front wheel drive, had rack and pinion steering, four-wheel independent suspension and Michelin steel-belted radials. Published on April 19, 2011 10:46 pm.